Bluedriver has the ability to turn your mobile devices into scan tools. The tools from the company work on both Android and Apple by using Bluetooth technology, however, some may only offer support for one operating system. 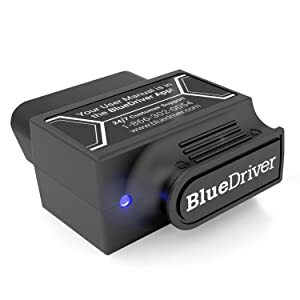 One such tool from Bluedriver is Bluedriver Bluetooth Professional OBDII Scan Tool. 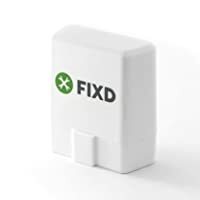 It lets you diagnose your car wirelessly to fix problems. This can help save money by reducing the number of trips to the mechanic. Bluedriver scan tool has its own app, which is free to download. 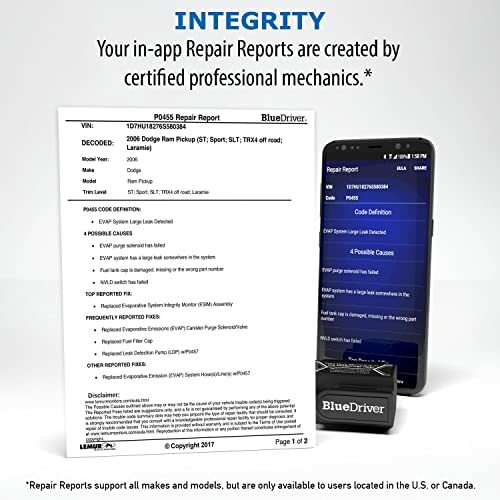 Once you download it, you can read and clear check engine light codes, do the component test and heated catalyst test, A/C refrigeration test, ABS misfire counts, and sensor tests. It also allows you to see real-time data, which can be very beneficial in solving problems. There are other manufacturers as well as making powerful scan tools but Bluedriver appears to reign supreme due to its high-quality products. 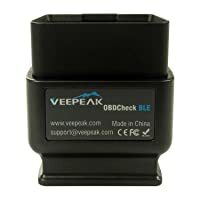 One of the biggest challenges car owners face when using an obd2 tool is connectivity. Sometimes, the cords come short, the device displays connection error and frequent disconnections occur. However, you will face no such problem as Bluedriver has its own app, The Bluedriver app. The app is free to download and use, so there’s no need to worry about having to pay hefty charges. The app connects seamlessly, however it may take a little longer when you use it for the first time. In addition to this, there’s no need to worry about connecting or wires due to it being a wireless device. Fast connectivity is not everything, especially if the scan tool has limitations. Fortunately, Bluedriver aces in this depart too as it has a huge database containing information on 30 million fixes. You don’t have to be an expert to use it since the fixes are reliable and easy to understand. This is, after all, the main purpose of a scan tool. The device works on your phone, which makes it easier to get the data that you need, including live data. Specifications, technical bulletin services, and maintenance schedules can also be seen from your phone. This is great when you are in a hurry and need quick information. If you find it difficult to read data, you can customize it according to your own needs. Graphs are easier to read but you may also opt for the information in other forms. BlueDriver is powerful and Easy-to-use. The tool allows you to save time with dashboard customization. Pick the options that you need the most, such as RPMs, fuel pressure, and speed for easier access from the dashboard. Lastly, you can also make a log file of all the data that Bluedriver pulls up on your car system and export it to a computer. This feature comes in handy when you run into a major problem that you can’t fix on your own and need to turn to a mechanic. With Bluedriver scan tool, you can perform a mix of basic and advanced features, which is a good reason why you should opt for this beauty. Advanced functionalities such as ABS misfire counts can help save you big losses. Additionally, it also lets you see if there is an issue with the speed sensor, steering sensor. You can a diagnosis without any trouble and also check for voltage issues. Bluedriver also lets you diagnose smaller problems such as CEL, smog check, freeze frame, engine oil temp, view and reset trouble codes, etc. It works with manufacturer specific codes. This OBD2 scan tool is for car enthusiasts who want to fix car problems on their own. However, it won’t let you check and fix some advanced problems. It doesn’t support camshaft timing and there’s no option to reprogram a FOB from this device. BlueDriver is an integrity scan tool. Aussie and Kiwi cars that are released in 2006 and after are also supported. Bluedriver app is easy to install and supports both iOS and Android devices. However, iPhone users may face some connectivity issues. These can be sorted with the update though. A blue LED light makes it easy to tell once the phone connects to the device. The app automatically launches on iPhones. Offers 6.6 million verified fixes. Displays active codes and sends alerts on your phone. No battery needed to operate this scan tool. It cannot activate relays and switches. Poor performance when connected to laptops (it is meant for phones). No details on cam and crank sensor. Not suitable for diesel cars. 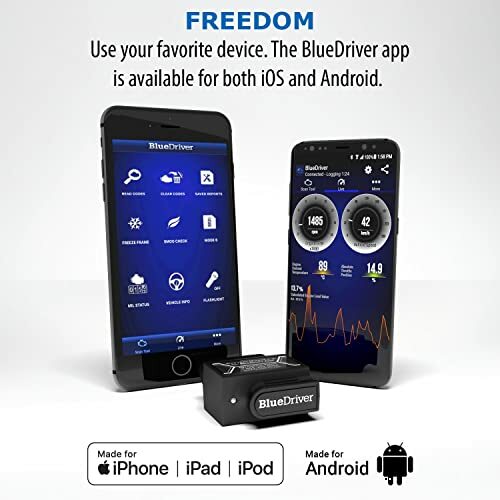 Bluedriver scan tool is ideal for car owners who want to diagnose their cars using their phones. This device connects quickly using Bluetooth technology and is controlled by a phone. However, it may not be the best tool for professionals as it lacks some advanced features. Bluedriver obd2 scan tool makes diagnosis a hassle-free process. The device is tiny and doesn’t require any battery or cord to operate. 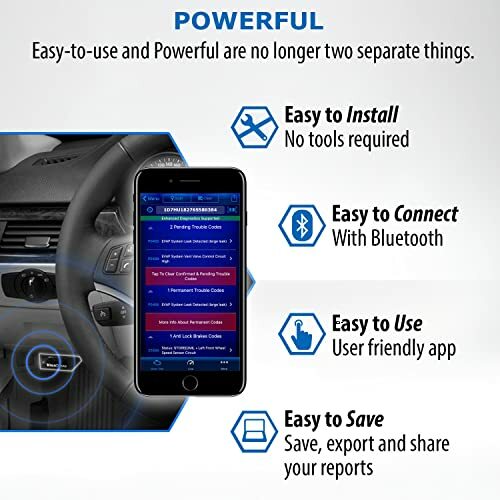 It works on Bluetooth technology and connects to your phone. Therefore, it’s a great fit for car enthusiasts who want to solve basic and some advanced issues on their own. This article is very helpful for the buyer.